Recently, a number of articles have come out based on U.S. studies from Harvard Business School that indicate that paying people to do chores you don't like will make you happier than buying material goods. What is interesting is that in spite of these findings, even people who can easily afford to pay someone to do an unpleasant task rarely do. They will still spend the $50 on dinner rather than $50 to have someone do their yard work. It's the same $50, which indicates it's more of an issue of character for people. I understand the feeling. When I was spending week-ends as a ski instructor at a ski resort four hours away while still working a career job 10 year ago, I couldn't keep up with housework. A dirty house unsettled me. Even though I paid a housekeeper with the "extra" money I was making instructing for the fun of it, I still felt guilty about not cleaning my own house. Not in Mexico. When I pay a Mexican to do something I don't like doing, I feel like I'm contributing to Mexican economy, one that is on the move. Here I can pay someone very well for tasks I don't like or can't do well and I do it with alacrity. Even expats with years living in the country forget that Mexico is a country low on tech and high on available labor. It's a young country, with the average age of under 30. When I recently asked a young Uber driver to tell me what was going on in his world, he looked startled by the question and said, "Work!" Rarely does any task cost more than 300 pesos (about $25 dollars) in Mexico. I tip someone in the property management office 100 pesos to scan, print and organize legal documents. I recently paid an Uber driver (who was also a civil engineer) 150 pesos on-the-spot to proof-read a letter I'd written in Spanish. I could pay less than I do for many of the tasks I farm out, but that would deny me the pleasure of feeling good about how I participate in the economy (while avoiding doing things I hate). Everyone talks about how having a housekeeper is standard fare in Mexico. While that may sound self-indulgent in the U.S., being a housekeeper is not considered as such a low-status job in Mexico as it is at home. A weekly house cleaning might cost 350-400 pesos (I live in an old resort where cleaning is included, but I tip 100 pesos each week). For a 20 peso tip (about $1 dollar and double the norm), restaurant staff is delighted to bring grilled shrimp fajitas, bean, rice and salsa ($7 dollars) up from the restaurant downstairs, on regular plates no less, not in styrofoam cartons. Once in a while I pay 60 pesos for a load of laundry cleaned and freshly folded for me. The feeling I receive from the staff in my building has been warmer since I've begun to avail myself of these services, services that I never used in the prior year when I felt doing so made me a lazy person. None of these are tasks I'd consider having others do for me in the United States. I might be able to afford to hire them, but not at a rate that would be gratifying for me. In Mexico, I can save time, life's most valuable commodity, and employ someone at a rate that feels good. It's a win-win. The amazing breadth of the labor force in Mexico makes many custom-made purchases possible. If you have an item of clothing you love that's showing wear, you can hire a tailor to recreate it. You just go buy the fabric, which is an adventure because fabric stores are huge in Mexico and take the old outfit to the tailor with you to break it down into a pattern. Well-dressed women, you will come to find, often have made whatever they're wearing, even the sandals. I love participating by buying artisanal jewelry, clothing, even hech0 a mano tamales on the street from real people rather than stores. Mexico is not yet a big online buying culture because of the unreliability of the postal service. You will feel a real sense of satisfaction in Mexico getting business cards printed at a local Mexican graphics company rather than ordering them online from Vista Print for the same $20 dollars. Getting the best deals by buying online has deprived us of how good it feels to give an individual company business. In Mexico, they let you know how much they appreciate that business. What's interesting is that many expats who have lived in Mexico for years don't consistently remember what offering work means to people here. It's partially because they don't know where to begin. They don't speak much Spanish and don't have a Mexican network. They know they can save money, but don't know how much to spend and don't want to embarrass themselves by offering too much (or too little). The shortcut to an instant Mexican network if you don't speak much Spanish, as I've already implied, is Uber drivers. Uber now operates in 36 Mexican cities.I cannot begin to express how Uber has improved my Mexican experience. Uber drivers in Mexico tend to be from Mexico's upper-middle class. They are positively thrilled with the opportunities Uber gives them to make money on a flexible schedule and meet people they otherwise would not. Mexicans are generally very social anyway (even when they're quiet they have a way of being social). For them, Uber is still a dream come true (maybe it’ll wear off). Like in the U.S., Uber drivers in Mexico usually have other jobs, often times white collar jobs and/or white collar educations. With a little Spanish and good intuition, you can collect enough background and register enough of a vibe with an Uber driver to know if his/hers is a phone number/e-mail you want to get. If they have potential, I even ask to take their picture. They are happy to do this as I have a hunch many of them have clients who regularly call them off-the-books. Mexicans are far more casual about this kind of off-the-book activity without the protection the app offers. Theirs is far less violent (and more sober) society than ours (They obviously know that even if many Americans don't. I have had real moments of grace on Uber rides, like the one I took recently when the driver and I karaoked the Mexican band Mána's song, "Mariposa Traicionera," just like in a James Corden Carpool Karaoke video. After unloading a week's worth of groceries for me from the trunk of his car, he refused my tip. If the driver is someone I really like, I might even shoot them a brief email saying I enjoyed meeting them. With language tools like Google Translate, Linguee and SpanDict. you should be able to put together a decent email with practically no Spanish. Voila! You have a Rolodex of Mexican contacts. The reason this is a more effective tool in Mexico than it would be collecting names in the U.S. is that unlike Uber drivers in the U.S. who often are more likely to be new to town, your Uber driver in Mexico is most likely a native to the city. Most Mexicans have extensive social and family networks of people to drawn upon and whom they're looking out for. If you don't have Mexican friends, 20 Uber drivers would be a great start to alternative network of people to reach out to (via email if you don't speak Spanish and need to use Google Translate) if you ever needed referrals to painters, handymen, locksmiths, seamstresses, I.T. professionals and any other job that you either didn't want to do, or couldn't. How much do I spend paying someone to do tasks I hate but could do myself? Maybe $10-$25 a week. Not only am I happier, I feel like I'm participating in both Mexico's economy and its society - a society that hustles. Up Next: Your introduction to Guadalajara, the big city of your dreams. Most recent: Have questions about medical care in Mexico? Reach out to me? I will be spending an extended period in Guadalajara to check out one of Mexico's biggest medical hubs. Hola! 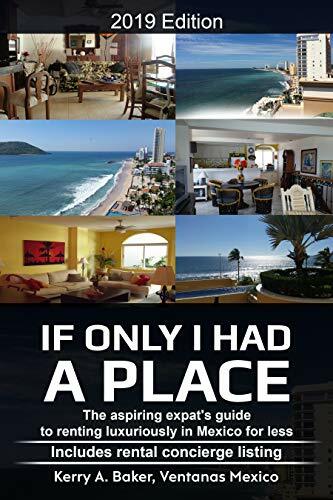 I'm Kerry Baker and author of the "Interactive Guide to Learning Spanish Free Online," a curation of the best free Spanish tools on the web, organized into lesson plans and "If Only I Had a Place," a guide to renting in Mexico written for the aspiring expat. 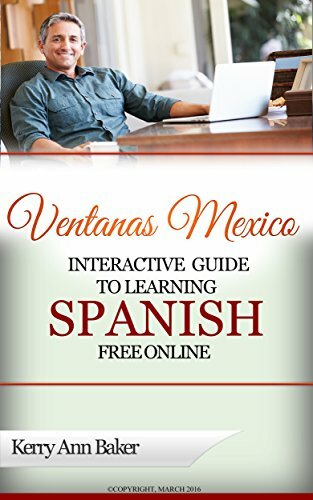 The language guide is totally interactive, with live links to the best free features and language sites impossible to find in a search. You'll need a e-reader or a good tablet, like the Amazon Fire. I usually study from my Acer Aspire - a thin, lightweight, elegant laptop that's perfect for travel.